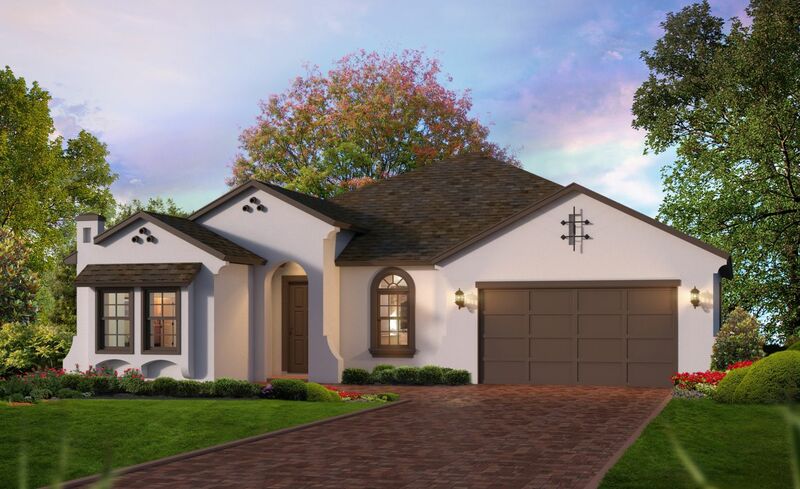 The Juliette is one of the most popular plans at ICI Homes. There is a reason why this home has won so many awards and it will be easy to see once inside. While the home is just under 2000 square feet, it will not feel like it once inside. The home has 3 bedrooms and a separate flex room which is created into an office for this home. With a courtyard entrance to the front door and large covered lanai, the outdoors is brought to life and add to the livability of this home. The gathering area is flanked by a large gourmet kitchen and dining area that is incredibly well planned to maximize the usable space in the home. Do yourself a favor and come take a look at this award winning floor plan.